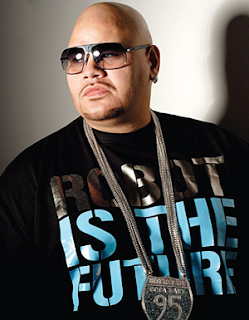 Fat Joe has always presented himself as one of the "money rappers" in the game. In most of his songs, he raps about the money he makes and the women he beds. The videos fit the lyrics with fancy cars and half-naked women. But, when 50 Cent, a real mogul, began his feud with Fat Joe, he said it was all lies. He often disses Fat Joe for not having any money. Their feud received new energy in 2007, when 50 Cent signed the deal with Vitamin Water. Meanwhile, Fat Joe signed a deal with Koch Records. To 50 Cent, this is the ultimate sign of rappers showing how poor they are. Fat Joe hit back claiming to be worth millions. He pointed to his videos and said his lifestyle was better than what he shows. Three years later, Fat Joe has changed his tone just a little bit from what it was. Last week, he made headline news for putting his Florida mansion up for sale. The mansion is worth over $2 million and apparently the money is desperately needed by Fat Joe. He owes $71,000 on the mortgage of the home for sale, he owes the state of New Jersey $105,000 for a tax lien, and Mercer County, New Jersey an additional $32,000 for a tax lien. Fat Joe and his people have yet to respond to the accusations made about his financial status.